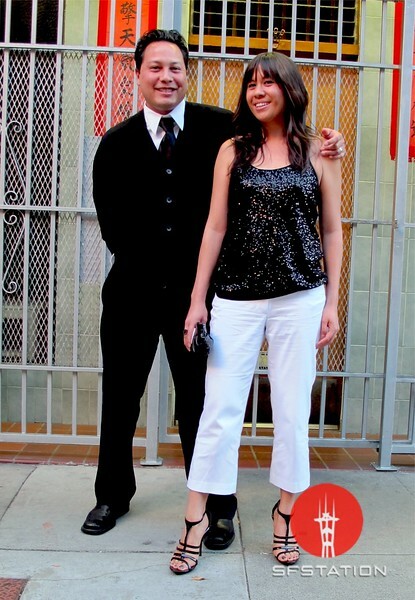 In This Scene: Julian and Cecile Quesada hit Chinatown in their black & white. Julian is wearing Gap pants, H&M sweater, and a tie and shirt from Express. If you're a guy worried about wearing a buttoned-up cardigan, go for one with a higher neck, like Julian, for a slimming effect. Cecile is wearing Aldo heels with white pants and black sequin top by Express.